A unique and "smart" paint that can change its appearance depending on the occasion. On a regular day it is simply a black and white, checkered texture. But when a holiday kicks in, its appearance changes dramatically. Note: This paint is automatically issued to all players who register in the game. 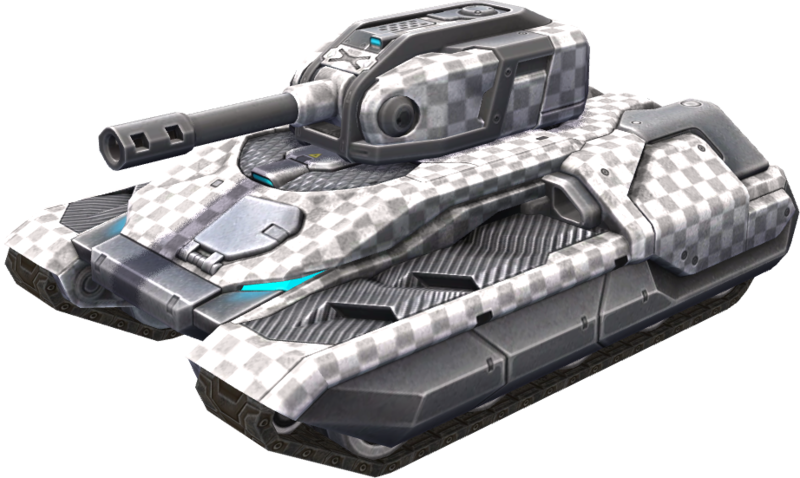 Its appearance often changes with celebrations in Tanki Online. Holiday, along with Green, are the only two paints issued for free to all the players who register in the game. During celebrations in TO, the appearance of this paint is often changed by the developers for the duration of the festivities - and thus the name. You can view a complete list of its past textures here. Prior to October 16th, 2018, the default appearance of this paint was slightly different from what it now is. This page was last modified on 23 March 2019, at 12:42.